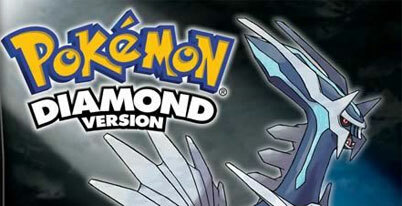 Home / Nintendo DS game manuals / Pokemon diamond :. Pokemon diamond manual Just click to open it in a new window then print the manual. are set in the region of Sinnoh, which is based upon the Hokkaidō prefecture of Japan. Sinnoh is mainly characterized by both mountainous and snow-covered areas, and contains new Pok�mon central to the plot. The game contains 107 new Pok�mon and chronicles the adventures of a new Pok�mon trainer who strives to become the Pok�mon League Champion, collecting and training various species of Pok�mon along the way. As do most games in the series, Diamond and Pearl feature eight Pok�mon gyms led by Gym Leaders, professional trainers whose expertise lies in a particular Pok�mon type. Gym Leaders serve as bosses and reward skilled trainers with badges of merit, key to the advancement of the plot. Diamond and Pearl begins in Twinleaf Town. After viewing a television report about a media-conducted search for a Red Gyarados spotted at a distant lake, the protagonist and his/her best friend travel together to check the local lake for a Pok�mon like it. They spot Professor Rowan, an expert in Pok�mon evolution and his assistant, who is the playable character not selected: Dawn (girl) or Lucas (boy). After a short discussion the pair exits from the lake, leaving a briefcase behind. When they are attacked by wild Starly, the protagonist and his or her rival examine the case. The player is then given a choice between three Pok�mon found in the briefcase, Turtwig, Chimchar or Piplup. After defeating the Starly, Dawn or Lucas retrieve and return the briefcase to the professor. Noticing that a bond has been forged between the young protagonist and his/her chosen Pok�mon, Rowan offers it to him/her, asking that he/she embark on a journey and fill his/her Pok�dex. As the plot continues, the protagonist encounters the main antagonist, Team Galactic, although their motives are unclear. (However, as the player progresses through the game, it is made gradually more obvious that the leader, Cyrus, desires to end all life on the world so that he alone can form a more perfect, conflict-less place.) Team Galactic captures Uxie, Azelf and Mesprit, of Sinnoh�s three lakes, and imprisons them, making it the player�s responsibility to free them. Upon releasing the trio, he/she is able to travel to the sacred shrine atop Mt. Coronet and enter the cave, where the leader of Team Galactic awakens either Dialga, in Diamond, or Palkia in Pearl. Dialga or Palkia�s powers begin to overwhelm Sinnoh, causing the newly free Uxie, Azelf, and Mesprit to attempt to stop it. It is then that the player is able to engage in a battle with (and has a chance to capture) the version-appropriate legendary Pok�mon. Having completed this, and after meeting requirements set by the Elite Four, the player is able to contend with them, fighting its members and then the Pok�mon League Champion, Cynthia.